The iconic Cognac from the Normandin-Mercier House. 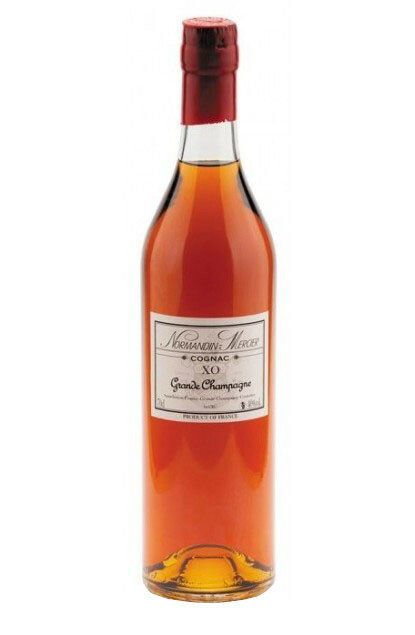 This Grande Champagne Cognac aged in red barrels. The colour is a sustained gold with amber hues. To the nose dominate first dried fruits like hazelnut and almond followed by candied fruits and touches of citrus, cinnamon and spicy vanilla with notes of lightly smoked honey, dried herbs and blond tobacco. A wide aromatic range. To the palate: long and wide with a great smoothness and notes of dried fruits, spices, coffee, and chocolate. A great complexity. Would fit perfectly with a chocolate dessert, an Arabica coffee and a cigar of your choice with a renowned band.